Hotels in the city of Osijek offer services in the categories of mostly 3 and 4 stars but almost certainly will leave a higher impression on the guests. 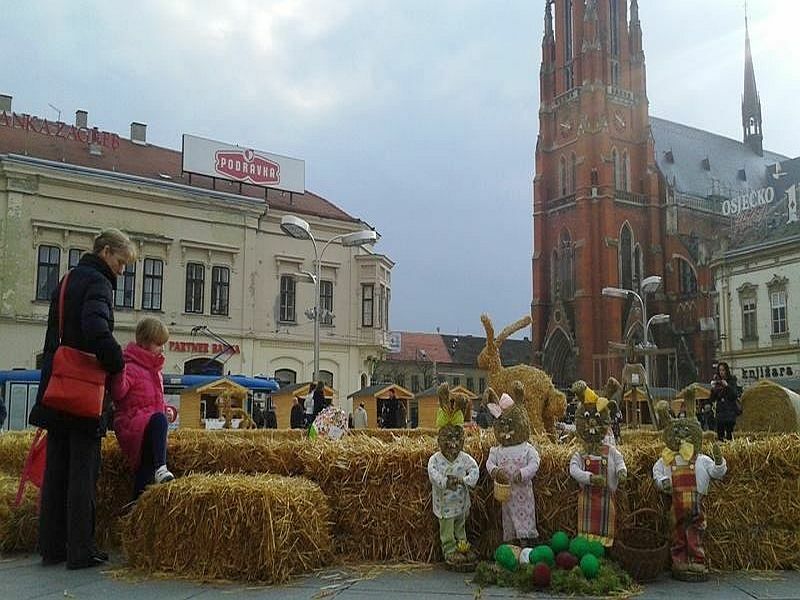 Throughout the year accommodation facilities in Osijek prepare rich "Osijek packages". 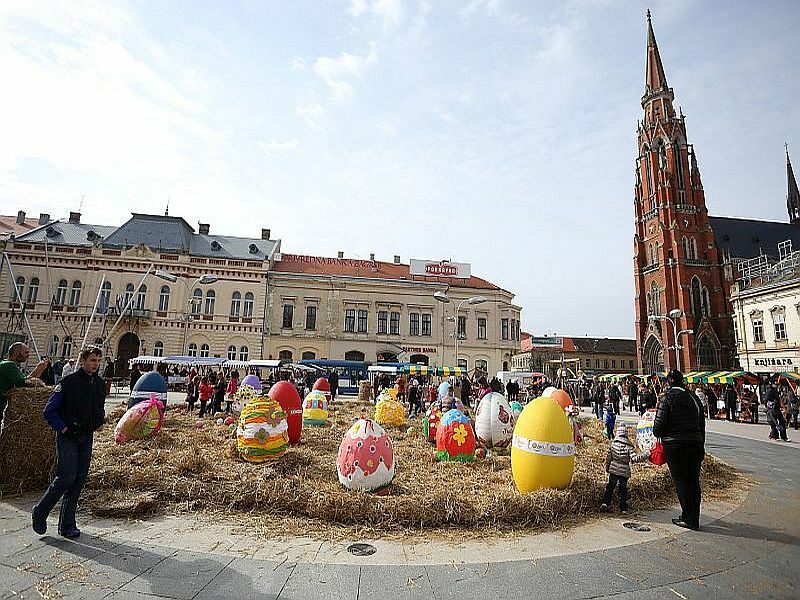 In one place, get to know their offer, make a reservation and then spend an exciting week or a relaxing weekend in Osijek and its surrounding Danube and Drava countryside. In 2014 Hotel Osijek was voted the best four star hotel in continental Croatia in traditional action Tourist flower. Glass skyscraper hotel is also the second highest building in Osijek after the Cathedral but also an inevitable motive of cityscape. It's located near the main square next to the river Drava, Winter Port and city promenade and it has 253 beds. Additional services at the hotel include a restaurant "Promenade", a cafe and pastry shop with a large selection of homemade cakes and ice creams, wellness and beauty center, the possibility of organizing seminars and conferences in 5 conference rooms for up to 450 people as well as weddings with a touch of real luxury. In addition there is parking for cars and tourist buses. With the high category of four-star all this makes it one of the most desirable accommodation facilities in the city. Hotel Waldinger is the first four-star hotel in Osijek and in 2014 it won a second place in the category of small family hotels in continental Croatia. 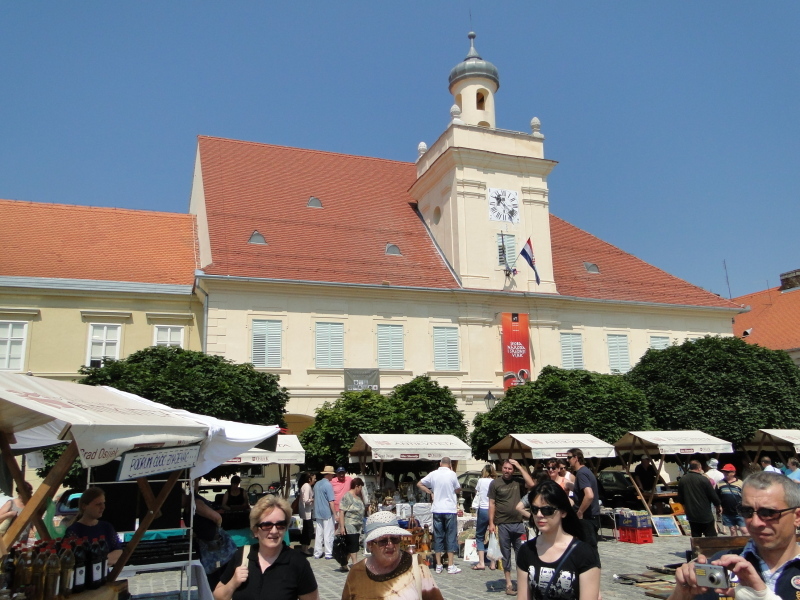 It is located in the Županijska Street, near the main square. Hotel Waldinger is a century-old Nouveau (secession) building and it is protected as a cultural and environmental monument. The hotel has 29 beds and offers two restaurants the Club Waldinger and the National restaurant and also spa and fitness. The hotel can organize conferences, seminars and romantic weddings. Among the citizens of Osijek hotel is best known for Coffee palace Waldinger which is decorated in the style of the old "Viennese coffee houses". They offer a great selection of coffee, cakes and Waldinger pralines. It's an integral part of hotel Waldinger and it belongs in a three star category. It has 13 beds. 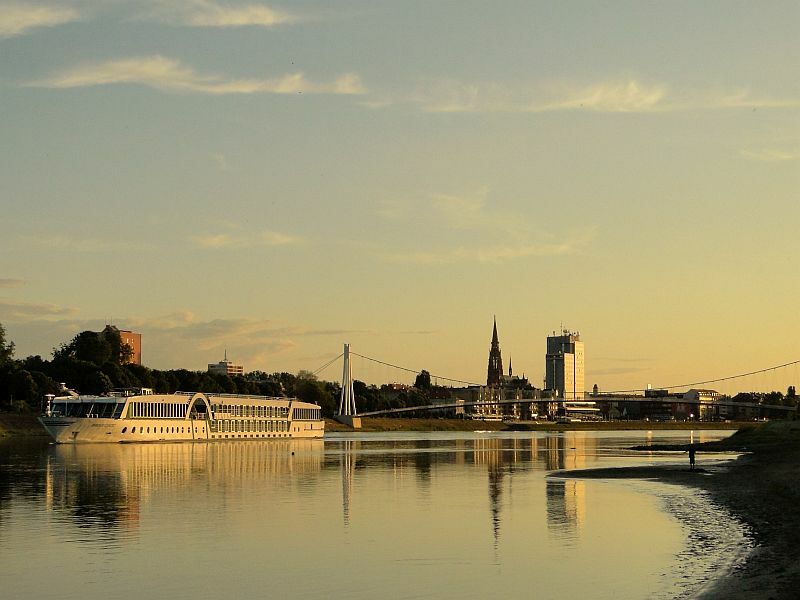 Hotel Zoo is located on the left coast of the river Drava on the city promenade. It has 35 beds and has its own parking for cars and buses. In "Zoo hotel" all kinds of celebrations ca n be prepared such as birthdays, weddings, christenings, communions, confirmations as well as wake, family lunches or dinners. In addition to the hotel is a Zoo Osijek. With access to the ferry "Kompa" in just a few minutes you can arrive at the right coast of the river Drava in the very center of the town. If you preffer you can get there with a city bus. Hotel Villa Ariston is located near the main railway and bus station and near the tram station by the park Zrinjevac in the city centre. It has 20 beds in luxurious rooms such as those offered by hotels of higher category. In addition to the hotel there is a coffee shop, and guests can use the hotel parking lot. The hotel can organize various celebrations and presentations. Hotel Drava offers spacious air-conditioned rooms with a total of 21 beds, free Wi-Fi throughout the entire hotel and free private parking within the hotel which receives up to 15 vehicles. The hotel is located only 10 minutes’ walk from the main square and station. Hotel Millennium is a modern hotel located about 20 minutes’ walk from the city center and near the old town Tvrđa and close to the city bus station. It has 31 beds. If you need more beds a nearby hotel Silver and board comfort Fitea can accommodate a part of the group. The hotel offers an organization of business lunches, catering, meetings, receptions or seminars in the area for 50 people. Hotel Silver is a family luxuriously furnished hotel located near Gradski Vrt, football stadium of FC Osijek, sports hall and closed swimming area. To the city centre it takes about 20 minutes’ walk and near the hotel there is a tram station. The hotel has 39 beds and its own parking space for cars and tourist buses. If you need more beds you can accommodate a part of the group in a nearby hotel Millennium and board comfort Fitea. Boarding house Komfor is a special category that almost completely corresponds to the hotel stay. It's well appointed accommodation facility (level 3-star hotel) and is a continuation of a family tradition started operating the first private accommodation Fitea in Osijek (opened in April 2002). It has 14 rooms and 30 beds. The hotel also has a coffee bar and restaurant Green and is close to the accommodation facility "rooms Fitea". If you need more beds a part of the group can be located in the nearby hotels Millennium and Silver. Guests have a secured parking for their car. Near the boarding house are bus and tram stations. The Central Hotel is located on the main square, near the con-Cathedral of Peter and Paul. It's the oldest hotel in Osijek hotel and it was first opened in 1889 when it was called "Zum goldenen Kreuz" (At the Golden Cross). It has 48 beds and as additional services if a hair salon, use of the library, Internet in all rooms, car parking and bicycle rental. 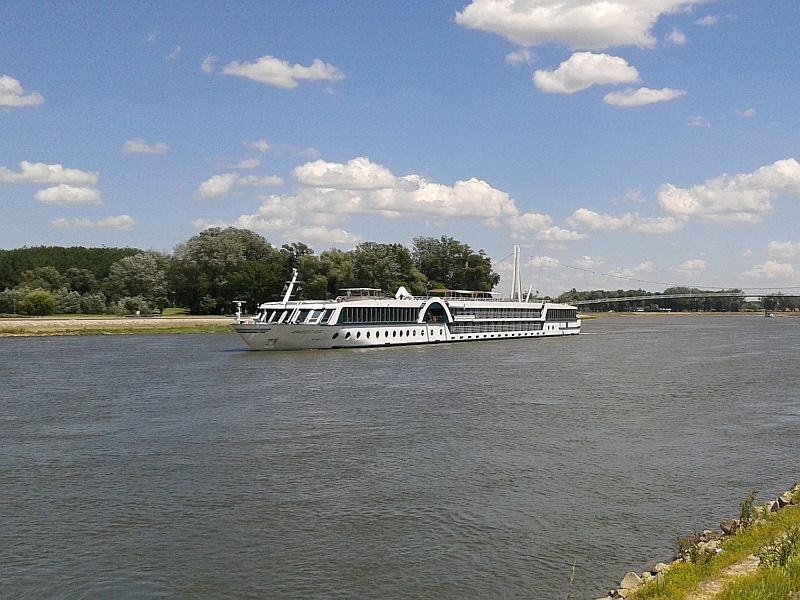 Parking for tourist buses is 300 meters from the hotel, along the Drava river.